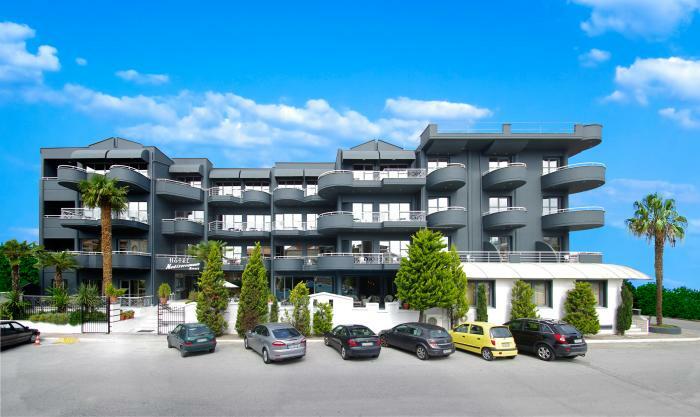 Mediterranean Resort is a modern, 4-star hotel just a few steps from the long sandy beach in the cosmopolitan seaside village Paralia Katerinis. The hotel offers a wide range of leisure and relaxation facilities. They include indoor and outdoor swimming pools, a tennis court, sauna and a hot tub. Billiards and table tennis are also available. Mediterranean Resort has a beautiful lounge and a poolside terrace where you can enjoy delicious cuisine, drinks and snacks. The location is also ideal for day trips to Mount Olympos, Meteora and many archaeological sites. Thessaloniki is 70 kilometres away.